New to the Mills 50 district is Mai Bistro located right next to Sam Flax on E. Colonial. I'd been watching their progress for some time once their exterior signage went up, and as of November 7th they are officially open. I stopped by for an early lunch and ordered the rice platter and an iced matcha milk tea. Linda greeted me and walked me through a couple items on the menu and tried to convince me to try their signature iced coffee. I passed on it, afraid it would be too sweet as many iced coffees tend to be. To my surprise, she brought me the matcha I ordered in addition to the iced coffee because she was eager for me to see how theirs was different. I ended up drinking the entire coffee, giving way to whatever five shots of espresso would do to me later that day because it was that good. It had a rich creamy consistency which I personally preferred over others that are more watery, and the level of sweetness was not too much to handle. The matcha was equally good, but I would agree with her that the coffee is a signature item that should be tried. The rice platter was a very generous portion of grilled pork, steamed pork loaf, shredded pork, a sunny side up egg, along with veggies and rice. I ate every last bite except for maybe a spoonful or two of rice so the buttons on my jeans didn't betray me. In addition to the food and drinks being delicious, the staff was very welcoming and hospitable. They did a stellar job on taking the old space (a scientology office) and brought it back to life after a year of hard work. It's extremely clean, and keeps things bright and airy. I will be going back for sure to try the Bánh mì served on their homemade bread. Nestled in-between Ivanhoe's popular Santiagos Bodega and The Matador you will find the relatively new Orlando Meats. While their location is new to the area, they are not new to Orlando, as they started the business back in 2012 on the East side of town. 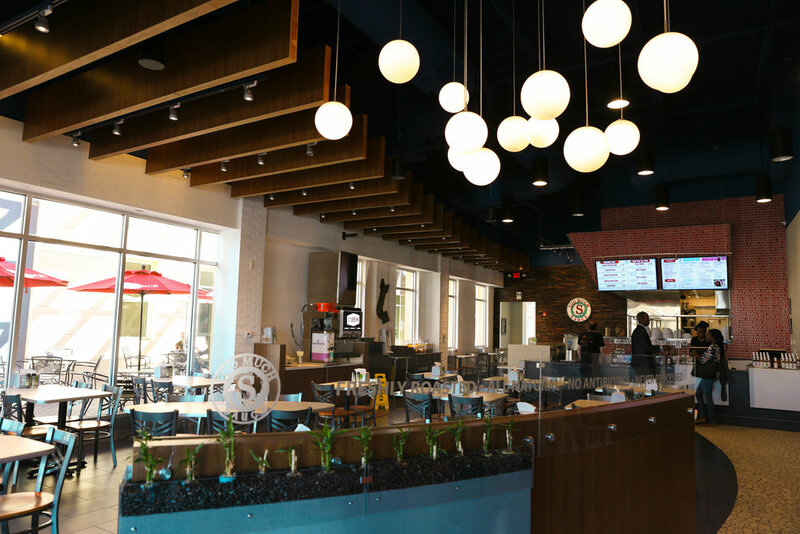 It's more than just a local butcher shop, it's also a fast casual restaurant with both breakfast and lunch menu items. On my first visit I went on a whim to see if they had bone broth (which they do) and to try their doughnuts. 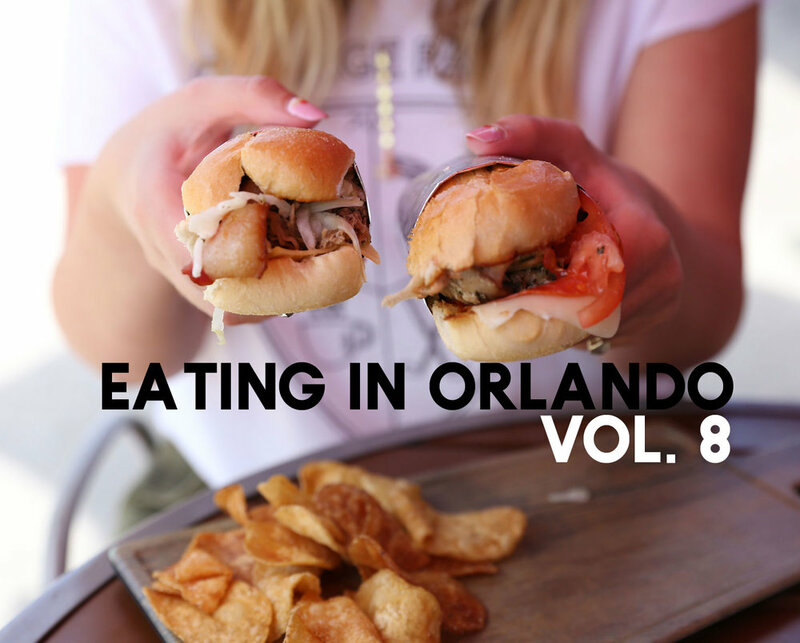 While I was there I checked out their menu and quickly knew I needed to go back, which I did with my friend OrlandoEats. She got their burger while I got a chorizo patty melt which I no longer see on their online menu. It was really good, so I hope it makes it back into the rotation. Also to note, their bone broth is great and affordable, and I've been able to make a few healthy meals with it at home. If you aren't someone who has the patience to make your own bone broth I would definitley recommend picking some up from Orlando Meats. 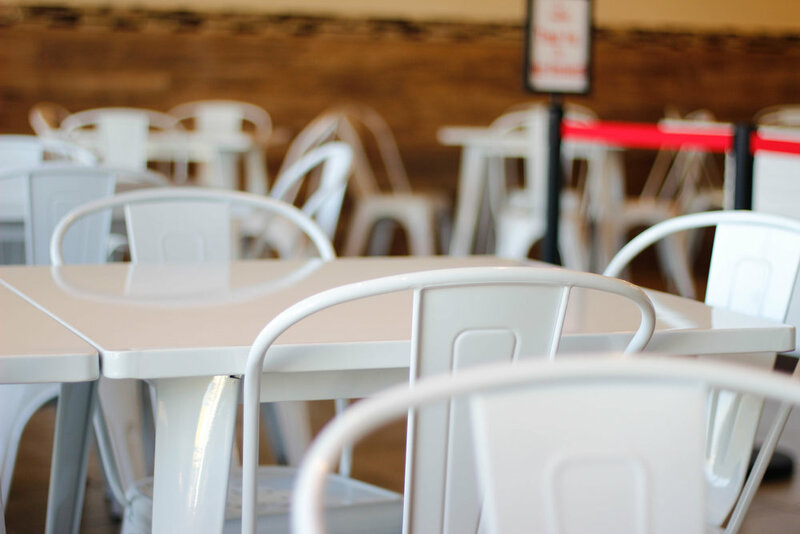 As a College Park resident I can tell you that there are just a few solid dining options on the strip of Edgewater Drive that never disappoint. Jade has been one of them for me personally. However, lazy person that I am, I kept ordering their food for delivery until one night I took a friend to dine-in and I realized they had revamped everything and there was a whole new look! Now I make it a point to try and dine-in more frequently when I can, which is when I finally tried their ramen. I'm honestly always scared to try ramen in Orlando, because I'm always comparing it to other bowls I've had in other cities, and no one has been able to truly measure up. I got the Tonkotsu bowl (pork Chashu, shoyu soft egg, bamboo shoots, Bok choy, nori, tonkotsu broth) and was pleasantly surprised at their ramen. The broth was delicious and while the pork had a little too much fat for my liking, overall I was really glad that I tried it. I've already gone back for more bowls with friends who were equally as pleased with their ramen dishes. Also, not to be missed are their baos. I'm a big fan of their Wow Bao (pork belly, steamed bun, temp bits, peanuts, radish and salty-sweet sauce). Their service has always been wonderful as well, even when they are slammed on a Friday night. If you haven't had a chance to visit them, I would recommend it. 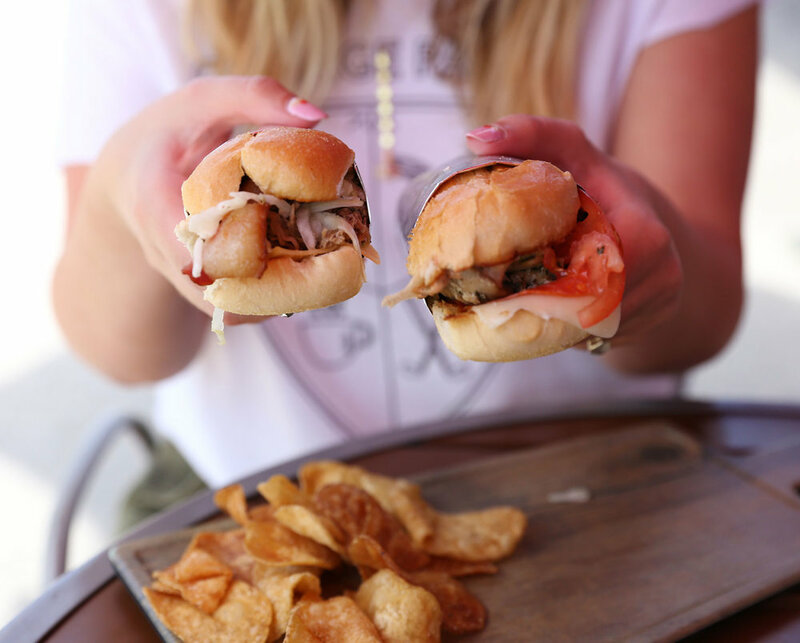 AJ's Press which started in Tampa, got a lot of buzz when it opened in Longwood because it had made it to Yelp's 100 places to eat with a five-star rating. As a family-owned and run business, you absolutely feel that warmth when you enter. I was immediately overwhelmed with the sandwich options, but then calmed when I was offered a popular jalapeño bacon hush puppy. It's like when you walk into the kitchen of an Italian family member and food is immediately pushed on you and you aren't mad about it at all. The hush puppy was awesome by the way, and I don't even like jalapeños. After much debate I went with the crunchy chicken sandwich (sweet and tangy chili sauce, Jack cheese, tomato, and arugula). The sandwich was very good, but if I was being picky I'd say the chicken was almost too crunchy and needed not to be cooked quite as long. Otherwise it was a solid sandwich. My husband got the Mojo Pork and I was able to steal a bit of his pork which was juicy and flavorful. At $9.49 for a whole sandwich, that left me full pretty much for the entire day, it's well worth visiting them in Longwood and I would go back. 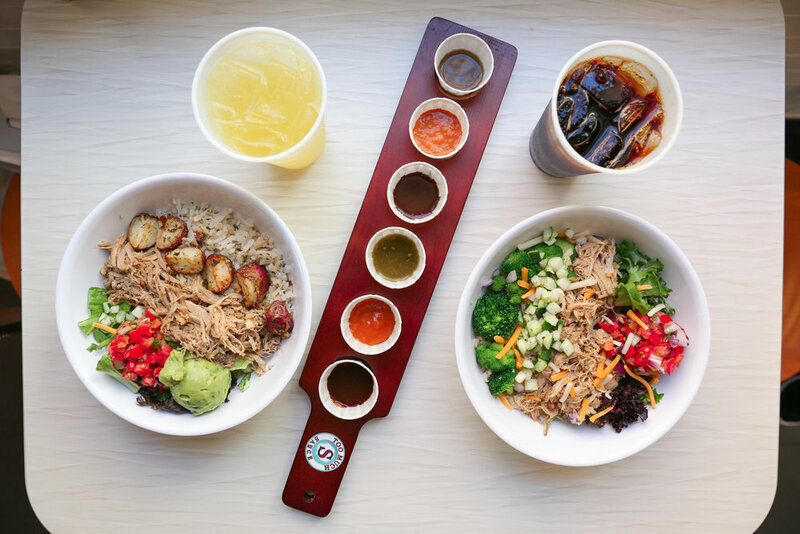 The create your own bowl category is finally taking off in Orlando and I'm happy about it because I need more healthy options to offset the guilt-ridden greasy pizza night. Don't let the name make you wonder what exactly is going on here, the sauces are all added by you, so whether you use too much sauce or none at all is a personal decision. They have 10 different sauces all at different levels of heat to accompany the bowl you choose off the menu or create. On my first visit (I've already been back a few times) I chose cauliflower rice as my base and pulled pork as my meat. I added a few veggies and roasted potatoes (believe me the roasted potatoes are where it's at). I did sample a few of their sauces that added nice hints of flavor, but overall no sauces were really necessary because the bowl was so good on it's own. If you are a vegetarian or live the gluten-free life, this place is safe for you. Also, no Coke or Pepsi products here, but they have a Stubborn soda machine here! I waited a bit before I visited Bad As's sandwiches after getting a mixed review from a friend, but the time had come to try it for myself. The first thing I noticed when I walked in (which honestly means nothing) was there were no women in the building as customers. It looked like a bro lunch spot which I thought was odd since ladies like sandwiches too, so much like 90's R&B group 702 I was asking where my girls at? Chef John was behind the counter, full of energy keeping up with the tickets while still greeting everyone that walked in, and checking on guests eating all from behind his busy counter. All of the sandwiches sounded intriguing, but I ended up ordering the Soprano (herb roasted chicken, pepperoni, fontina, roasted mushrooms, tomatoes, basil tomato aioli). During the lunch rush and a packed house we took a seat on the patio and didn't wait long for our food. I was pleasantly surprised at how good my sandwich was, because I had never tried the Chef's food during his food truck days, so I wasn't sure what to expect. The bread was incredibly soft, the meat was perfectly seasoned and tender, and all the other ingredients lent themselves well to add levels of flavor to the chicken but not overpower it. The sandwiches come wrapped in foil so while they are packed full of goodness, they aren't messy to eat. Another bonus for all my white shirts. I was really happy with my sandwich, and I hope seeing no ladies was a weird fluke. Ladies, don't be afraid of a little bread bloat, it's well worth it! All meals were paid for by me, no one invited me to dine at any of these establishments in exchange for mentions. Support your local businesses or they will close and we will only end up with restaurants that are financed by corporate giants who don't care about our community or the quality of their food.